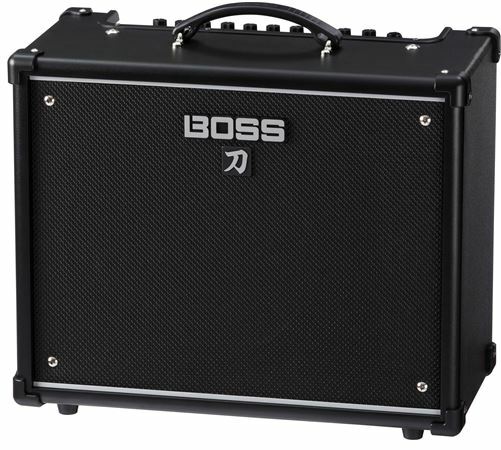 No Credit Check 3 Easy Payment Plan on BOSS Katana KTN50 Guitar Amplifier only at AMS! Free 2 Day Shipping and Free Extended Warranty. Call our Gear Experts at 800-319-9043 for expert advice! Katana Version 3 is a free, user-installable update for all Katana owners. The amp also excels for home playing, with a uniquely efficient design and innovative Power Control that provides inspiring sound and response at low volumes. 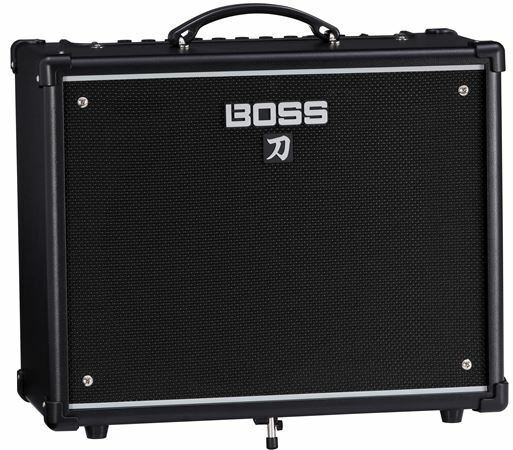 In addition, the Katana-50 includes integrated access to 55 Boss effects, which are customizable using the free Boss Tone Studio editor software. Up to 15 different effects can be configured in the amp at one time, enabling you to bring fully prepared tones to the stage in one amp. Super Fantastic Amp, Love it ! 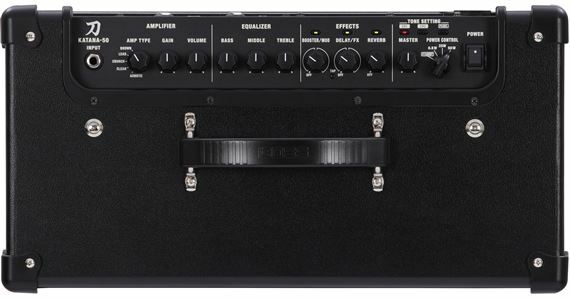 My new favorite, I mean favorite awesome, amp. Worth every penny and more. I could not be happier with this amp! I wanted something I could use in my living room without disturbing my neighbors and without compromising on the tones I’m looking for - mission accomplished! 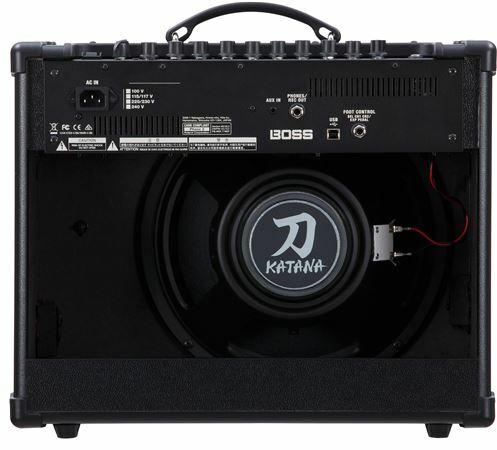 The Katana 50 is a great amp for my purposes. I’m a at home player only and the Katana makes a great practice amp. It arrived promptly and was well packed. I did a lot of homework and it didn’t disappoint. All of the effects are super clean. I’m kind of a Luddite when it come to effects. My last amp came witho bells and whistles but this amp has all I need and more. After a month, I’m still learning, but the downloaded software helps. I bought it because of the variable wattage and light weight for arriving to gigs. I recommend a foot pedal for live playing. It would have been nice to include Bluetooth connectivity, but my wire is long enough to reach my iPhone for backing/jam track. Perfect for apartment and club level volumes. I’m thrilled. I can even sell my acoustic amp! Before this amp I had a Fender Frontman 10g and this is a huge step up. I occasionally bring this to jam with friends and it can be heard clearly. I've used it in a small church I volunteer at and it can be heard over drums, keys, voice, and any other instrument, even on the 25 watt setting. 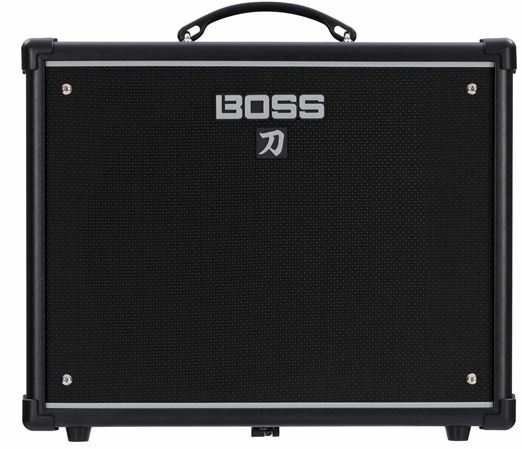 Its great for practice and gigging alike and it does not give me any problems. I was looking for something small that had a reasonable black face sound and some effects, drive channel etc. I watched a lot of reviews and comparisons and figured for the price I'd give it a shot. I couldn't be happier. It really delivers the most tube like dynamics and feel I have tried in a fairly priced modeler combo. The clean channel is superb and makes you play like you would have to on an actual tube amp. Not as easily forgiving as a regular modeler type amp but still has some warmth and a very "real" feel and sound. Drive channels are super. On board effects are great with just a few knobs to tweak to get a great sound which is great for a minimalist like me. Or you can access and configure EVERYTHING via your computer and the USB connector/online software. Absolutely a win! I am very happy with this purchase. It will not give you a clean sound with volume. If you use distortion all of the time, you would like this one.